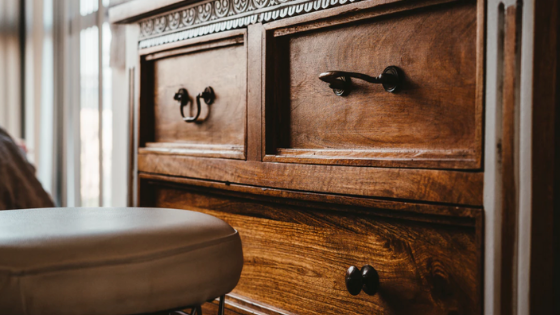 Keeping your Sherman Oaks apartment organized and free of clutter will not only help you find what you are looking for when you need it but will also create a more calming and relaxing environment. One of the biggest organization tasks is getting your drawers whipped into shape. Here are some tips to help tackle this task! When it comes to drawers that hold delicates, socks, or ties, it's unavoidable that they'll end up in a tangled mess. Instead of spending time digging through to find what you are looking for, you can keep everything in these drawers neat and tidy by using cut pieces of PVC pipe and leftover paper rolls to store your items in. Then all you have to do is grab a tube, pop one out and go. Thread and button organizers can be found at your local fabric store and are designed with small spots to hold items between one and three inches. These are great tools to separate and organize earrings, rings, pins, and other small items that can easily get lost in a drawer. Ditch the conventional way of folding shirts in your drawer and stacking them. Storing your clothes this way will make them harder to sort through and more difficult to use all the drawer space. Fold your shirts as you normally would but then put them in a vertical position. This will allow you to see each one in your drawer and keep them tighter together, preventing wrinkles. You can find drawer sorters in a number of styles from adjustable to buildable acrylic pieces. By sectioning your drawers to hold specific items, you will prevent it from becoming cluttered and difficult to sort through. If you don't want to invest too much money, you can find some sturdy cardboard to make your own. Keep your items organized and accessible by following the tips above. Need a new apartment in Sherman Oaks, California, to put your new organizational skills to work? Contact Chase Knolls Apartments today to find the perfect place to call home!